Is it time to replace or resurface your concrete, asphalt, or gravel driveway? Before you do anything, consider the benefits of concrete pavers. Not only do concrete pavers up your home's curb appeal, but they're also more durable, a lower maintenance alternative to concrete or asphalt, and will add value to your home. Asphalt and concrete are popular materials that look good for a few years, then begin to break down. Cracked concrete can be costly to repair, and asphalt can be difficult to maintain. In terms of load -bearing, concrete, and asphalt (when properly prepared and installed) can handle about 2000 per square inch (PSI). Properly installed interlocking driveway pavers offer up to four times the load-bearing strength of poured concrete, or asphalt, up to 8000 psi! Along with their superior load-bearing capacity, concrete pavers are aesthetically beautiful, flexible regarding design, and available in a wide range of colors, styles, sizes, and shapes to meet any need. They're a low-maintenance surface that, when properly installed, can last for decades! 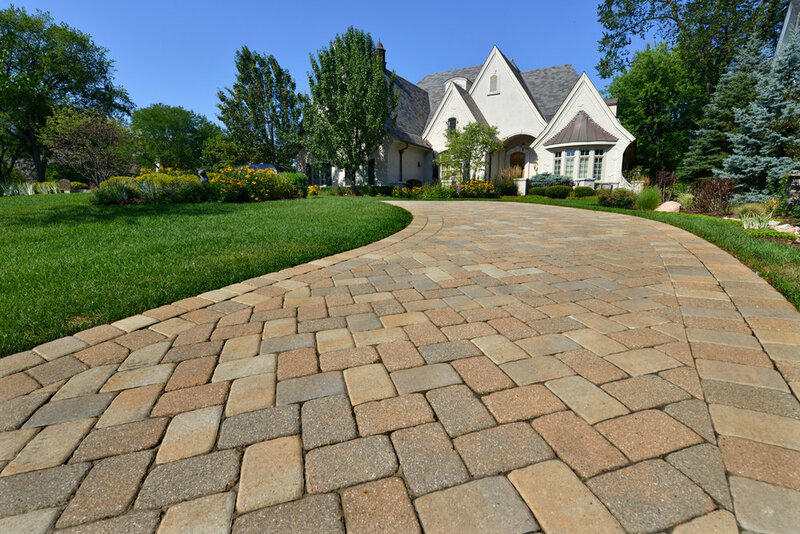 Why Choose Interlocking Driveway Pavers? There are many benefits to using concrete driveway pavers. First, unlike cement driveways, pavers won't crack. They're a flexible surface that moves with any seismic shifting, something we need to think about here in the California Bay area. This help prevents cracking. Here are some of the other significant benefits you can expect from concrete driveway pavers. As we discussed, driveway pavers offer four times the load-bearing capacity of concrete or asphalt. Their flexibility allows them to move with any shifting of the earth, and if a paver or even a section of pavers is damaged by a spill, it can be easily replaced by just removing the damaged pavers and replacing them with new ones. When concrete or asphalt cracks, patching and repairs can be costly, and your driveway will never look exactly the same again. Paver driveways require very little in the way of maintenance. They can be kept clean with a quick sweep or a rinse with the hose. Paver driveways are strong, cost-efficient, beautiful AND easy to care for! Pavers can be made from stone, brick or concrete, come in a wide variety of shapes, sizes, colors, and textures, which means you can create the exact look that's perfect for you! Adding a paver driveway can up your curb appeal like no other material and can give your home a unique look unlike any other. Paver driveways are smooth, comfortable, and easy to drive on, and they'll last for decades! Since 2009, we've been providing San Francisco Bay area homeowners and businesses with top quality installation of paver driveway products. We have the experience and expertise to help you create the driveway you've been dreaming about. We offer a 5-year warranty on our work, and our “no surprises” proposal process means you'll know precisely what your driveway will cost before you sign a contract! We bring projects in on time and on budget and have built our business by providing the highest quality craftsmanship. 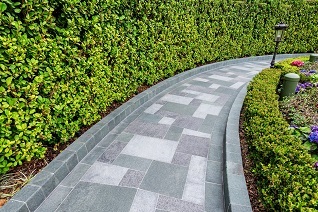 In fact, many of our clients are repeat customers that call us for all of their hardscaping needs. If you're planning a hardscaping project for your Bay area home, give the experts at Bayside Pavers a call at 1-866-287-2837. Let us help you to design your project to meet your unique needs. Our team of knowledgeable experts are ready to assist you to create the outdoor space of your dreams! If you're in the San Francisco Bay area, and you live in the East or South Bay area, visit our location in Concord, CA at 2455 Bates Ave, Ste K. Our Santa Rosa, CA location at 1619 4th Street Ste 12 can help you with your North Bay hardscaping projects.